Charlotte, NC 8/14/12– This weekend marks the third and final time this season the PASS South super late model series makes their way to “America’s Hometown Track”; South Boston Speedway in South Boston, Virginia. The first trip in March was marred by rain after a Friday afternoon practice session, followed by a June 9th event that saw young Landon Cling, driving for Brad Keselowski Racing, pick up his first career super late model win. This weekend’sSouthern Virginia 150 has all the potential to produce another first time series winner, but more importantly it could be one of the final times championship contenders race against one another with minimal outside influx as the season schedule hits the fall months of 2012. The series last outing at Orange County Speedway really shook the championship points battle up a bit as current leader Kyle Grissom scored his third win of 2012, while Brandon Ward, who has been Grissom’s main challenger this season, failed to finish due to a mechanical issues. Ward’s DNF dropped him from second to fifth in the standings, and put veteran Jay Fogleman in the runner-up spot fourteen points behind Grissom. The saving grace for the rest of the field might be the fact that the 4/10th mile flat track didn’t produce one of Grissom’s best finishes this season as he barely squeaked a top ten finish (9th) in June. Nate Caruth and Gray Gaulding are a pair of young drivers that have turned some heads as of late. 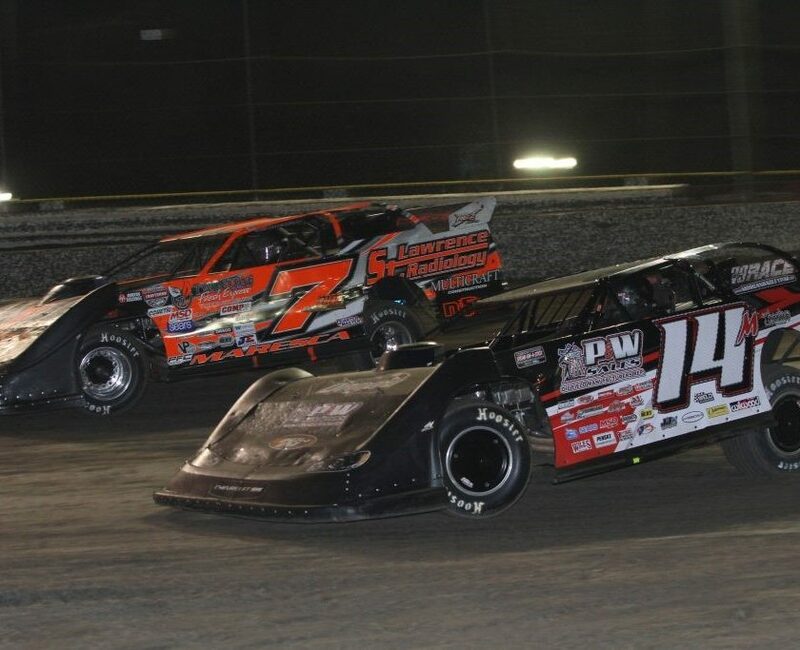 After a wreck at Dillon in the season opener that kept him from even taking the green; Caruth has recovered nicely scoring four top fives and six top tens in eight races this season. 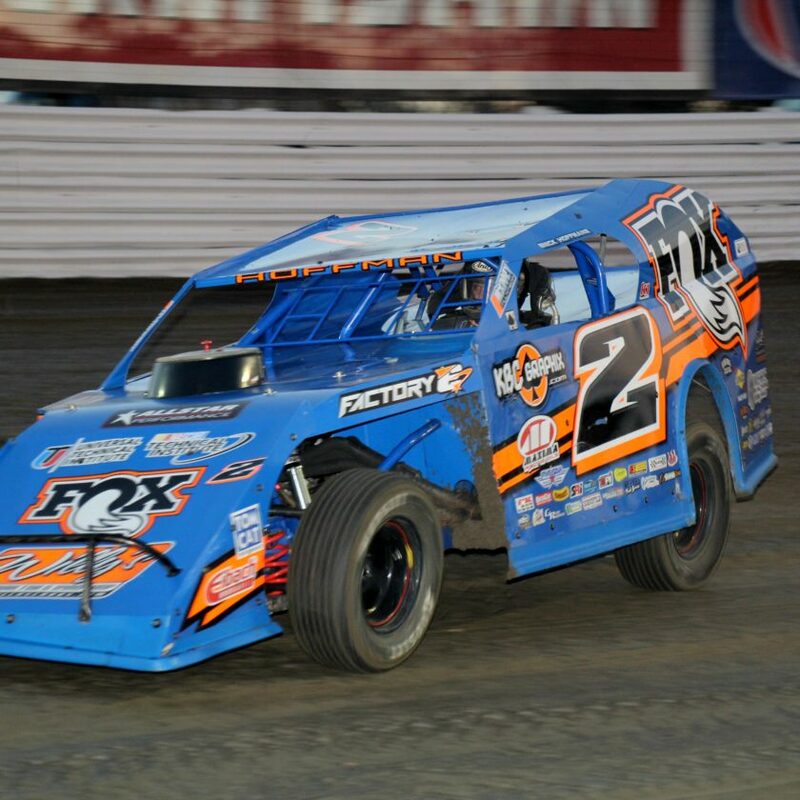 Gaulding, in his last two races, has made some of his biggest strides as an improved driver finishing fifth at Motor Mile Speedway and then showing the world that it was no fluke scoring his first career podium finish atOrangeCountythree weeks ago. Several part-time series drivers such as Clete Cay wood, David Quackenbush, Bill Catania, Jody Measamer and former NASCAR Nationwide Series competitor Steve Wallace are all expected to be in attendance seeking their first career PASS South Series win. In addition to the drivers mentioned above “Krazy” Kevin Powell of Winston-Salem, North Carolina, often behind the wheel of his modified that competes at Bowman Gray Stadium, will be making his PASS South debut this weekend at South Boston. Practice for the PASS South Southern Virginia 150 kicks off Saturday August 18th at 2pm, with series qualifying to follow at 4:30pm. After a brief on track autograph session theSouthern Virginia 150 takes the green flag at 7pm for 150 laps of short track racing action. For more information such as entries and event scheduling on this weekend’s PASS South Southern Virginia 150 at the South Boston Speedway visit www.proallstarsseries.com. For tickets and directions to the 4/10th mile facility contact the track directly at 434-572-4947 or visit www.southbostonspeedway.com.